My kids (9 and 10) had the chance to learn the new Lightseekers Card Game from one of the inventors of the game and the team at PlayFusion, the UK company behind the new gaming phenomena. 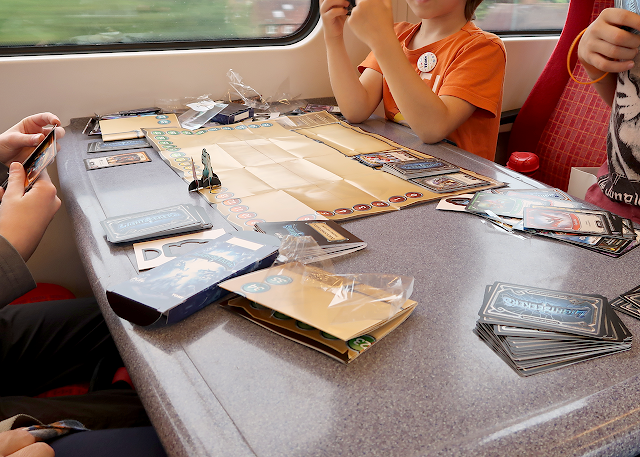 My kids played the game on the train home and then insisted on teaching me how to play before breakfast the next morning! Lightseekers is much more than a card game (see What is Lightseekers?) but in this post, we're going to focus on the game. 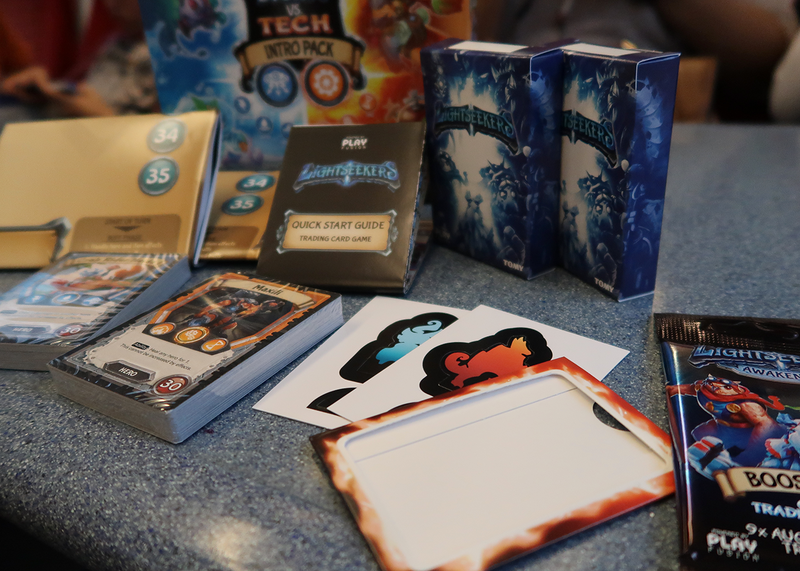 Disclosure: We attended a promotional event for Lightseekers and the kids received some Lightseekers goodies to take home. As always, our opinions are our own. What is the Lightseekers Card Game? 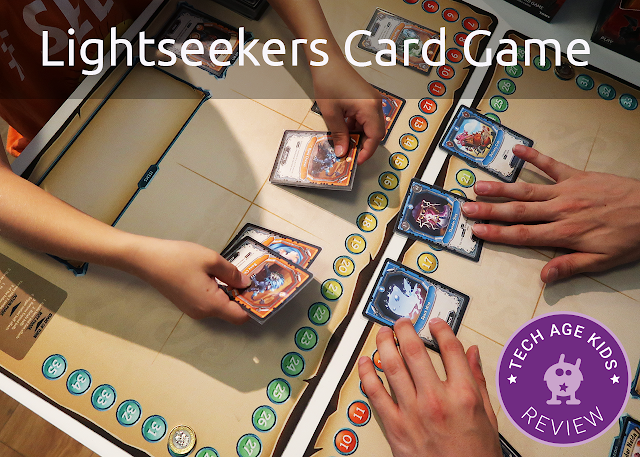 The Lightseekers Card Game is a turn based strategy game for two or more players. Players build up a collection of cards over time, usually starting with a starter deck. There's a mat that can be used to keep score and organise the cards when playing. The game can be played without a mat, but it's particularly useful for beginners. A key thing to understand is that Lightseekers has a proper card game. It's not just an afterthought to sell some physical cards to tie in with the app. This is very clear both from playing the game and talking to the PlayFusion team. The game mechanics have been well designed and the game theory mathematical models have been developed to make sure the game is balanced. The basic rules are fairly straightforward to learn but the interactions between the cards make for interesting game play. There are also item cards that add another layer of complexity as players get more advanced. We really like that the health of the players can change dramatically in a few turns. 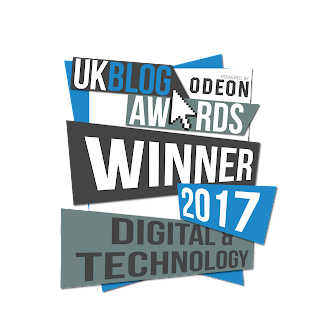 It's not one of those games where the game carries on for ages after the winner becomes clear. Collecting the physical cards is important for kids (and lots of adult card gamers too.) The cards themselves are nice quality. The card backs have a lightning effect that catches the light. 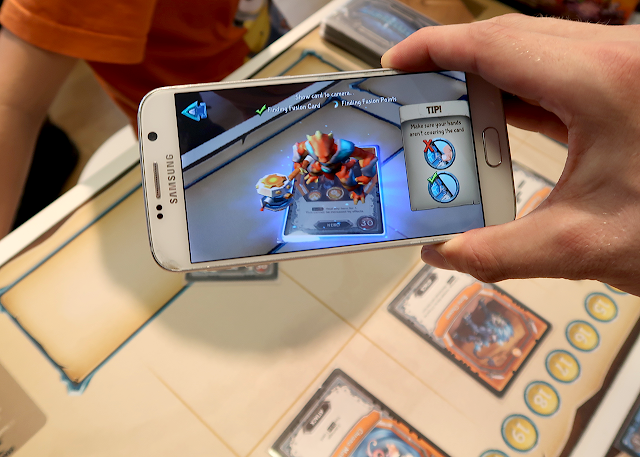 The cards can also be scanned to trigger augmented reality features and claim them in the app. My kids are really enjoying using the additional features in-game. The physical cards unlock bonus features in the digital app. Each card has a unique pattern of dots and can only be claimed once. The physical cards can be traded for use in the physical game but it's important to note that they can only be claimed once in the digital app so the original owner will retain the in-game bonus. You could imagine digital trading being added in the future, but it's important for kids to understand how things work now. 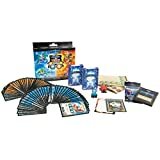 The card game is recommended for age 8+. Age recommendations are always tricky as all kids are different. 8+ seems like a good guideline. The rules are reasonably complex (though they can be introduced gradually) so a lot of younger kids wouldn't quite be ready for the game. But some younger kids thrive on this sort of thing. If your child is six and has been playing chess since they were four then they'll be fine with the Lightseekers card game! We've found that the most difficult part can be keeping track of when a player has finished a turn. We've found that passing a physical token over when you finish your turn can help. There's plenty of depth for older kids though, it plays like a proper strategy game. It also works as a family game which we really appreciate. I enjoy playing games like this with my kids. Games vary in length. Some games can be over in a few minutes while others take longer. It also depends on how quickly players make their moves. We've found that two player games usually take about 20 minutes. This isn't one of those games where it takes hours to play. 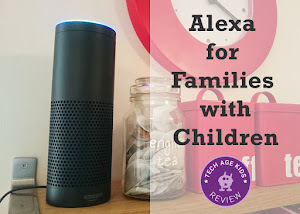 It is possible for kids to play a quick game before bedtime or dinner. Playing on the train. Perfect! Of course, not everything that kids do has to be overtly educational. But we think it's worth pointing out that actually, the kind of analytical thinking that card games like this require is highly relevant in the modern data and rules driven world. Being able to analyse data, think ahead, apply rules and make reasoned decisions are important modern skills. One of the PlayFusion team that my kids learned from was clearly really into the data aspect of the game - it turned out that he's the business intelligence guy who mines the Lightseekers gaming data to understand how it's being played so that they can make informed decisions on the future of the game. So, yes we'd definitely say it's educational. These skills aren't really well understood or developed in the formal education system. I'd say playing games like this is more useful than a lot of stuff that kids learn at school. To play the Lightseekers card game you need two or more players who each have a deck. This is a great way to get siblings started with the game or allow a child to be able to play with a parent or friend. 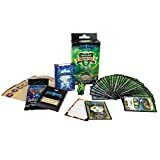 There are Starter Decks for each of the Lightseekers Orders (Nature, Astral, Dread, Mountain, Tech And Storm.) The decks include a set of starter cards for that order plus a booster pack and accessories. The starter deck includes everything that a single player needs to get started with the game. Their opponent will also need a deck. You could build a deck just from booster packs which could be a way to get a first taste of the game, but it's easier to learn the game if you have a playmat and a full deck. We like that the Starter Deck packs include a storage box for keeping the cards in (the Intro Pack includes two.) The playmats are just printed on paper so they're likely to get torn over time. Hopefully, sturdier mats will be available in future. You can play the game without the playmat - you just need a way to keep track of each player's health. You also get a player token with each deck, these aren't very sturdy. A flat token would probably have been better. We'd love to see some cool collectible tokens in future. We really like the whole Lightseekers package. The card game is a great way for kids who like the digital app to take their interest into a physical game. 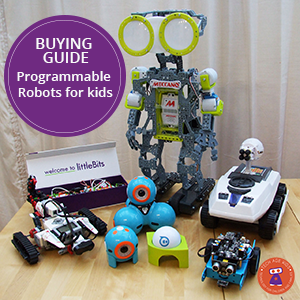 We know that a lot of parents are looking for ways to encourage real-world play. 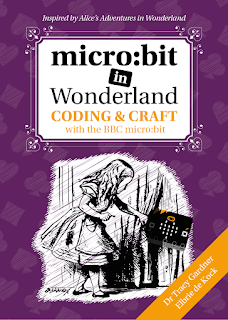 There's a lot of overlap between the skills kids need for coding and the skills needed to play strategy games like this. We think the physical card game is going to be really popular. My kids are often allowed to take cards to school once a week and they've both said they want to introduce their friends to Lightseekers.